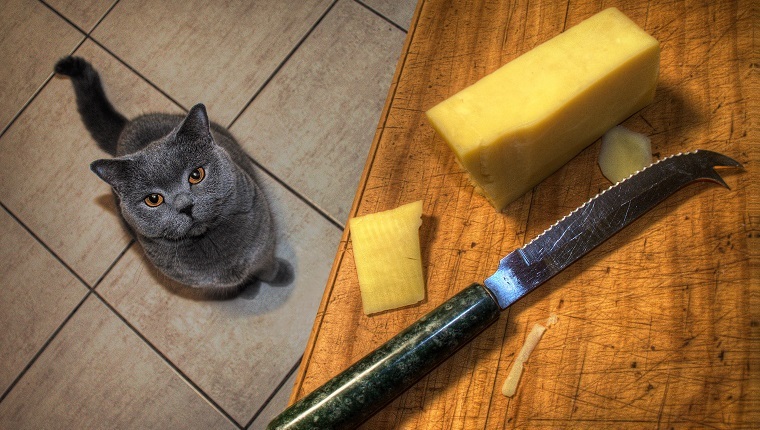 In one way or another, cheese has been at the centre of IP news lately. Not long time ago, the Court of Justice of the European Union ruled that the taste of a spreadable cheese could not be protected by copyright (see here). Now, cheese – though of a different kind (keep reading!) – is also at the centre of some trade mark developments in Alicante in an interesting decision recently rendered by the EUIPO First Board of Appeal. In June 2015 Mr Andrew Hines successfully registered the word EU trade mark (EUTM) ‘CHEESE’ for goods and services in Class 31 (Grains and agricultural, horticultural and forestry products not included in other classes; seeds) of the Nice Classification. In 2016, Sweet Seeds & Pot Sistemak filed a request for declaration of invalidity of this EUTM for all above goods with the EUIPO Cancellation Division. They claimed, inter alia, that the mark would be devoid of any distinctive character and be a descriptive term, pursuant to Article 7(1)(b) and (c) of Regulation 2017/1001 on EU Trade Mark (EUTMR). They submitted that the EUTM ‘CHEESE’ would consist of a word which refers to a kind of cannabis seed. 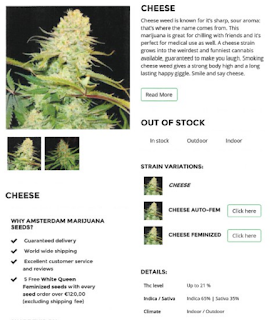 The term ‘CHEESE’ would be known to manufacturers, retailers and consumers active in the relevant industry as the name of a variety of marijuana seed. Among the evidence filed, there was also the relevant entry from ‘Urban Dictionary’. In 2017, the EUIPO Cancellation Division declared the invalidity of the contested EUTM for all the relevant goods. It considered that – in light of the evidence submitted as a whole – consumers understand and use the term 'Cheese' as the name of a certain type of cannabis seeds, and not as an indicator of commercial origin. statements from chambers of commerce and industry or other trade and professional associations (C-108/97 and C-109/97, Chiemsee). The EUTM proprietor had been therefore unable to demonstrate that the mark had acquired distinctiveness through use for the designated goods pursuant to Article 7(1)(b) and (c) of the EUTMR. The decision was appealed to the EUIPO First Board of Appeal in October 2017. Article 7(1)(c) EUTMR read in conjunction with Article 59(1)(a) EUTMR pursues a public interest goal, that is to avoid that descriptive signs are monopolised by a single undertaking (C-108/97 & C-109/97, Chiemsee). Therefore, it was necessary to determine whether the term ‘CHEESE’, at the time of filing of the contested EUTM application (namely in April 2015), designated a plant denomination which was associated with the category of goods concerned, or whether it was reasonable to assume that such an association would come to be in the future (C-108/97 and C-109/97, Chiemsee). In view of the role of Article 7(1)(c) EUTMR, the examination must be assessed in light of the relevant public, which includes competitors and consumers acquiring the products (R 1743/2007-1, Vesuvia), as well that part of the public who is familiar with specialised terminology (T-226/07, Pranahaus). Since the argument was that ‘CHEESE’ is a common designation of a specific hybrid, not a registered variety, it might be that such designation has become widespread only in certain territories within the EU. Nonetheless, according to the Board’s assessment, neither party had demonstrated that the hybrid in question is known under different names in different territories within the EU. It was also highly probably that, on the filing date, at least the designation could be used to give the name to the hybrid in other territories within the EU. For this reason, it is likely that the name of a hybrid called ‘CHEESE’ would be used in the whole of the EU. The second issue raised by the applicant was that the word mark ‘CHEESE’ would be descriptive of the goods offered in Class 31. In this respect, based on the evidence submitted, the Board reasoned that, it is obvious that the specific group of cannabis consumers would understand the word ‘CHEESE’ as “one of the most popular indoor growing strains around”. As a result, the relevant consumer would not perceive it as unusual but rather as an expression referring to a particular variety of marijuana seeds. The relevant public who smoke marijuana would immediately and without further thought make a connection between the sign in question and the characteristics of the goods in question, all of which render the sign descriptive (T-234/06, Cannabis). Therefore, the relevant consumer, without making any mental effort or being required to stop and think, would immediately perceive said sign as being obviously descriptive in connection with the kind of goods concerned and the purpose thereof (R 1881/2015-1, KB KRITIKAL BILBO). In light of the foregoing, the Board of Appeal upheld the decision of the Cancellation Division, which was considered to have provided a legally sound conclusion within the scope of the parties’ submissions and evidence. In addition, the Cancellation Division was in line with the previous examiner’s decision rejecting the identical trade mark in 2012. Since Article 7(1) EUTMR makes it clear that it is sufficient that one of the absolute grounds for refusal listed in that provision applies for the sign at issue not to be registrable as a EUTM, the Board found that it was no longer necessary to consider the applicant’s arguments also alleging a breach of Article 7(1)(b) and (d) EUTMR.